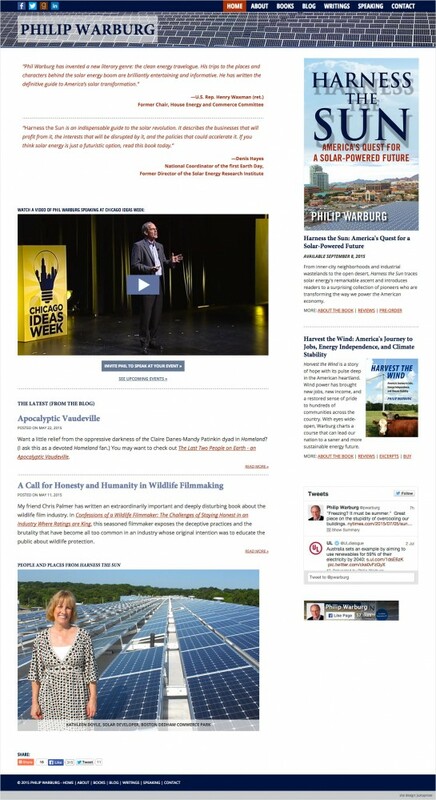 We originally created an author website for Philip Warburg around his 2012 book Harvest the Wind (about wind energy). In early 2015 we updated his site for his new book Harness the Sun (about solar energy). Our work on the update included adding pages for the new book as well as changing the design to complement the new book's cover; we also added a new video to the site's home page and integrated a speaker's profile.